High-volume self-priming centrifugal trash pumps come standard with a ductile iron impeller to resist abrasion and T handles for easy cleanout. All pumps feature stainless steel internal hardware, iron wearparts, built-in check valve, suction strainer and heavy duty steel frame. Standard with male NPT threads. 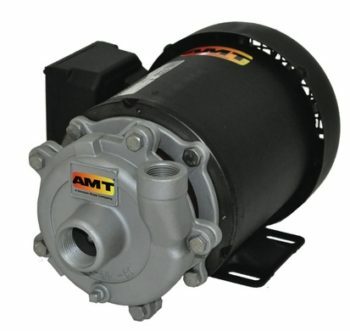 Many AMT / IPT Trash Pumps are readily available Off The- Shelf for fast 24 hour shipment. For use with non-flammable liquids which are compatible with pump component materials.